What role do volunteers play? Volunteers are an essential part of palliative care and are able to offer the gift of time, a listening ear and help with a multitude of things beyond that possible for doctors, nurses and professional staff to give. They make themselves available to support patients, families and staff. Volunteers can work in the community (when people are cared for at home), in Laurel Hospice, bereavement counselling, the Wellbeing Service (complementary therapies – massage, reiki, aromatherapy and more), Client Biography Service with the Laurel Palliative Care Foundation or even administration support. Volunteering in palliative care is not for everyone but those who do it genuinely enjoy their work. 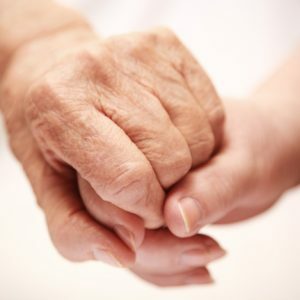 People often become aware of palliative care through a close encounter with death. They may have had a partner die, or another family member passes away. Perhaps they cared for a loved one at home, or have been employed in the area. Some volunteers simply have a genuine interest in this area and seek voluntary work as a way to develop their skills and knowledge. Unfortunately, the subject of death and dying is avoided by much of the population in our western world and many people only realise its importance through personal experience. What can volunteers at Laurel Hospice do? What rewards do volunteers obtain? Volunteers say that working with people who are close to dying is very rewarding and not at all depressing. People are often very honest and ‘real’ at this time and are keen to make their remaining life as meaningful as possible. Despite the risk of emotional vulnerability, volunteers find that the rewards include the privilege of sharing important moments with patients and their families, the opportunity to re-assess their own lives and the special satisfaction that comes with helping. When selected, volunteers participate in a 4-day training course to ensure that their knowledge in palliative care is current, existing skills are updated and they become familiar with the specifics of the organisation. To find out more and request an information pack please contact the SAPS Volunteer Service on 8404 2058.